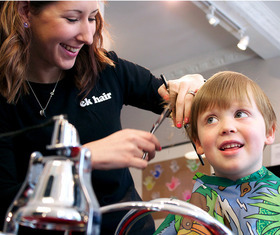 Haircuts for kids have come a long way since barbers trimmed locks around a metal bowl. However, getting a toddler to sit still is another matter. The solution seems to be solved by the new wave of child friendly hairdressers. Whether your kids love being pampered, hate having their hair cut or are just a little shy of going to the hairdressers, we have the right solution at our children’s designed hair salon. 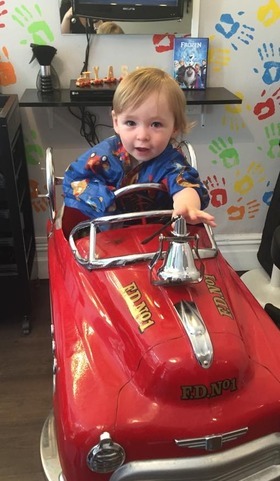 At ek hair we love kids and are sensitive to the needs of every child and tailor the service and treatment especially for the parent and child. So whether they want to watch a movie, play computer games, listen to music or just chat, your child will end up leaving with a super cool hair cut with the least amount of fuss! 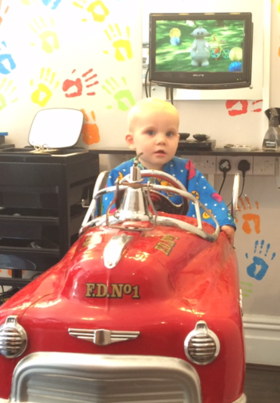 We also have a salon upstairs for big kids and grown ups too! 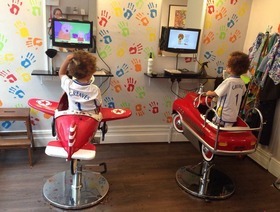 So if your children are too big for the fire engine or aeroplane then they can sit in a more grown up salon upstairs, and play on our computer games or read a book. Not forgetting the parents too, you can also book with us for your own haircut and bring the children with you (or not). They can play around in a safe and child friendly environment whilst you get the chance to relax and read a magazine! PLEASE NOTE THAT BOOKINGS MADE OUT OF SALON HOURS AND ON MONDAYS WILL NOT BE CONFIRMED UNTIL THE NEXT WORKING DAY/TIME. You can follow us on Facebook and Twitter just click on the links below. Tag us in a picture of your littles ones having their haircut! 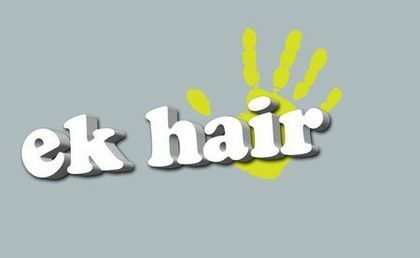 Enquires can be sent to ekhairsalon@gmail.com but please dont send booking requests. Please leave us an answer phone message if there is no answer as we may be busy cutting. please note that we are closed on mondays so will not respond until the next working day.